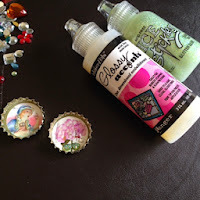 It's got to that time of year, where I've started to think about Christmas and putting together a list of things I'd like to make, which realistically I need to make a start on to make sure that I do them in time! 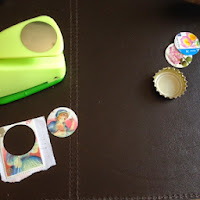 This project is one of those crafts, we have *hundreds* of bottle tops we save them up but not entirely sure what to do with them! I thought I'd try out making some general bottle top gift bows and if they work out ok, I'll go on to make some Christmas ones for special Christmas gifts. 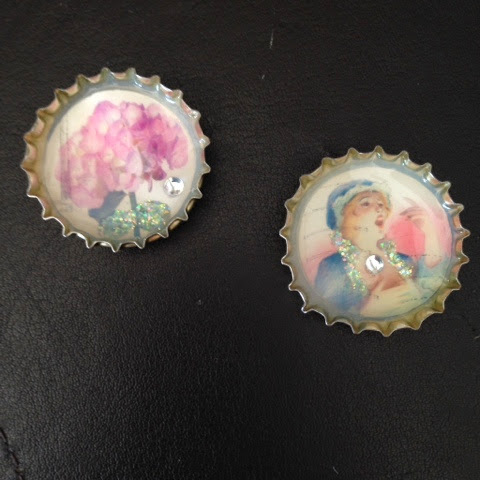 I used glossy accents to fix the stamped images into clean bottle tops. 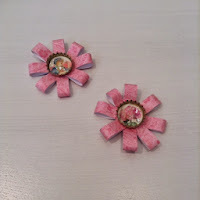 I then applied some tiny gems and added some ice stickles, this is what they looked like before the stickles dried. I then covered the images with quite a thick layer of glossy accents, this is why it's important to have waterproof images, you don't want your image to bleed at this stage. Leave the bottle tops to dry, at least overnight. You will know when they are dry as the image will turn from cloudy to clear. 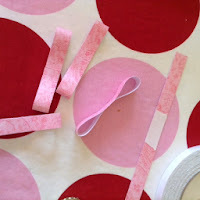 I then selected a complimentary paper and cut 2 1/2 inch strips from a 12 x 12 inch sheet of scrapbook paper for each gift bow. 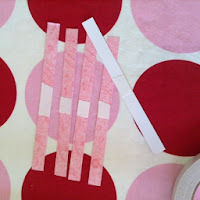 Cut each strip in half, to one of the strips you need to add about 1 inch of double sided tape to the patterned side of one of the strips, on the reverse add about 3/4 inch of double sided tape, to the rest add about 3/4 inch on both sides, right in the middle, as shown in the photo above. 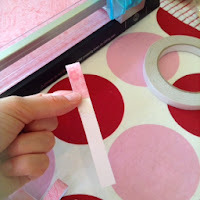 Taking the first strip (the one with the longer piece of double sided tape) remove the tape backing from the non pattered side (or reverse if double sided paper!) 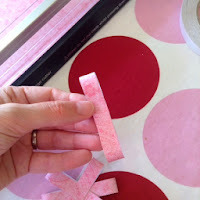 fold the end towards the middle to form a loop and stick to the tape, do the same for the other end. You will need to repeat this with all 4 strips. Starting with a cross stick the first 2 loops together do this again and then stick one on top of the other. 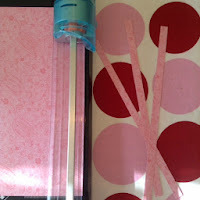 The long piece of tape should be at the bottom to allow you to attach your bow to your parcel. Using more double sided tape attach your bottle top to the middle as shown above. 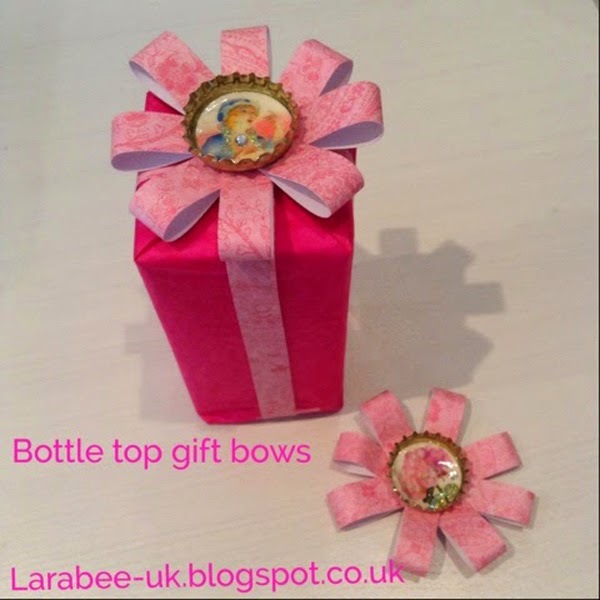 Stick on top of your parcel!! !